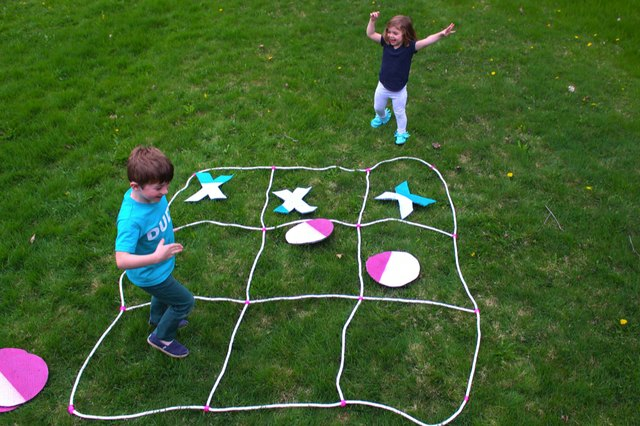 Backyard games go with summer like peanut butter goes with jelly, and this giant version of tic-tac-toe is perfect for a blue-sky day on soft grass. 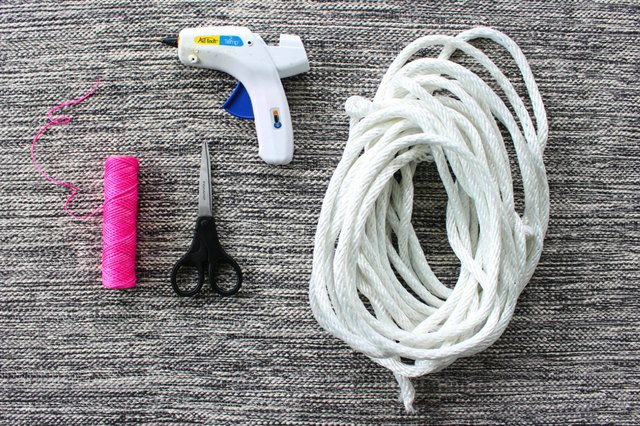 This simple DIY can be made in an afternoon, and it will be a hit at any barbecue, outdoor movie night or beach party. Not only will it please any guest — whether the friendly competitors are three years old or 60 years old — but the game will also inspire laughter and create lasting memories. 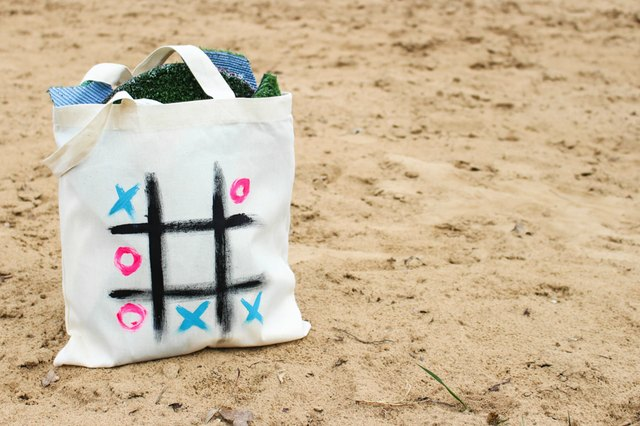 Plus, when the fun is through, you can place the board and its pieces inside a personalized tote bag. It's as easy as spotting three "X"s in a row. 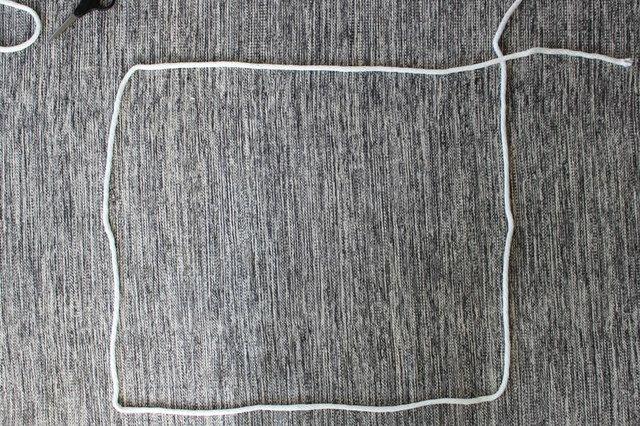 Measure 6 feet x 6 feet of nylon rope and lay it out in a square shape. Then, cut four more 6-foot pieces. Create a grid on the square by placing two pieces horizontally and two pieces vertically. The four pieces should be spaced 2 feet apart and have overhang on each end. Use a dab of hot glue to hold each piece in place. Hot glue works really well for this project because it melts the nylon just enough to bind each piece together. Continue to glue each overlapping piece until all intersections are fused. Next, secure each intersecting point with additional glue and string. 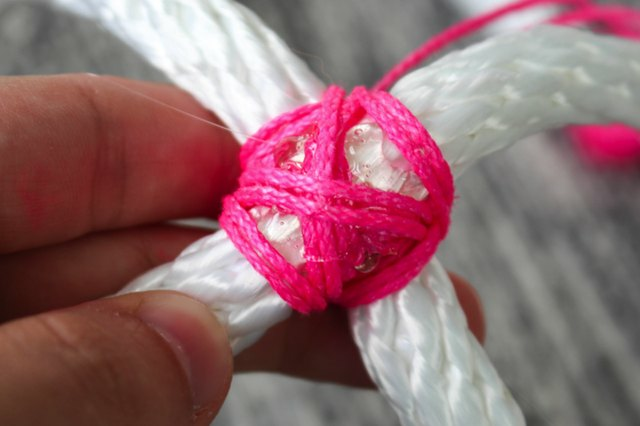 Start by creating an "X" with hot glue, and then wrap the string around the two pieces and into the glue. 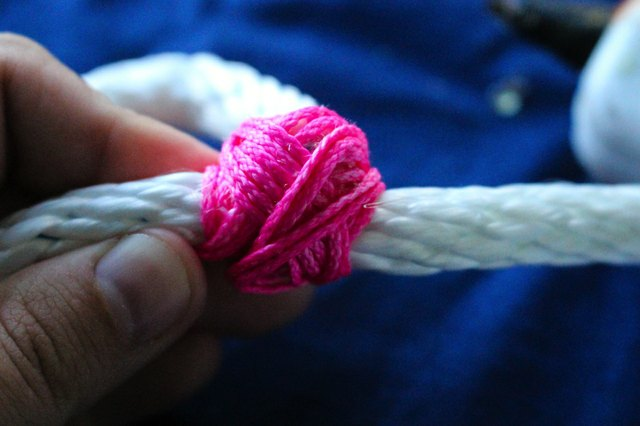 After, add a bit more glue to each edge and wrap them with string again. 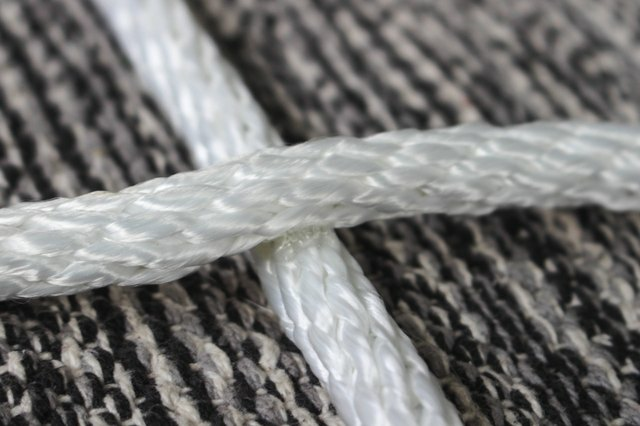 If you are working on an outside joint, trim the excess rope once you have glued down the "X." 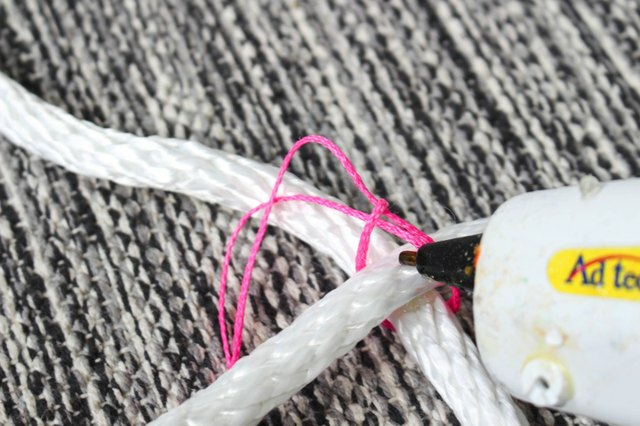 Solder the loose edge by adding hot glue liberally until it is covered, and then continue to wrap the string around the joint. 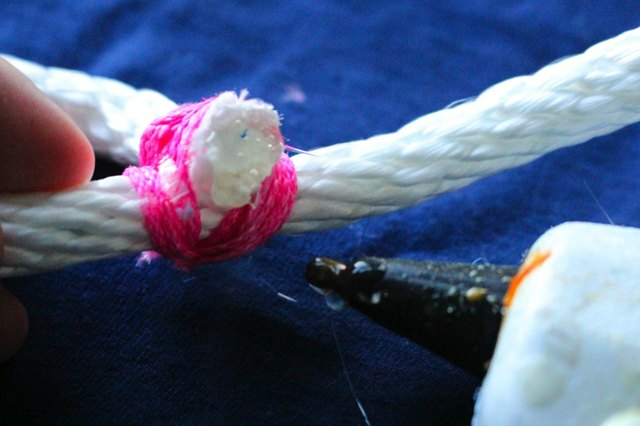 Secure the end of the string with another dab of hot glue. Hot glue guns should be used with caution and by adults only. 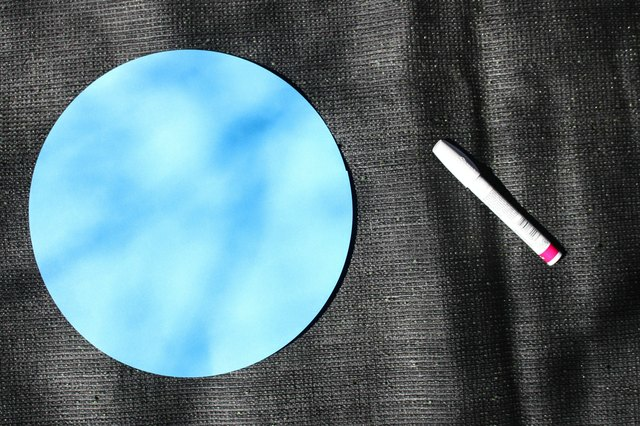 Create "X" and "O" templates on a 12-inch x 12-inch piece of cardstock for each game board piece. Use scissors to carefully cut out each template. 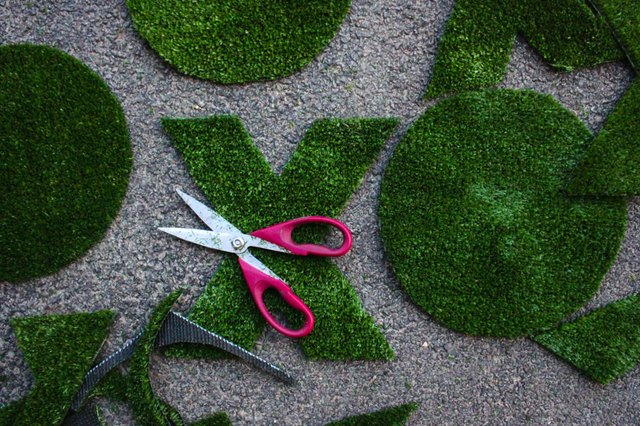 Flip over the 4-foot x 6-foot piece of artificial grass carpet so that you can trace out five of each "X" and "O" template. Once the templates have been traced, use scissors to cut out each game piece. Flip over all of the game pieces and spray paint them with primer. 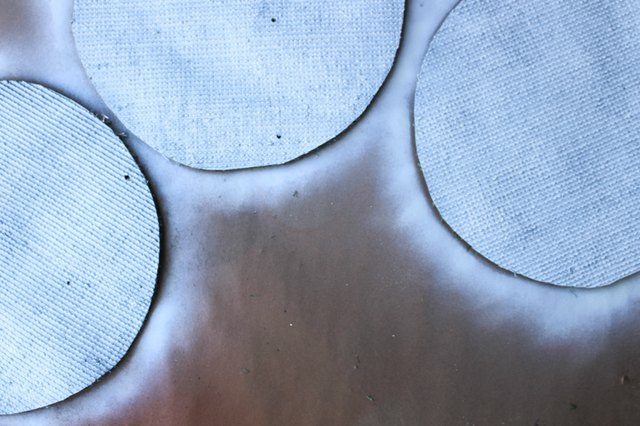 Allow the primer to dry before picking out a few fun colors to add personality to your board. If you are making this for a gift, it would be fun to coordinate shades with the event. 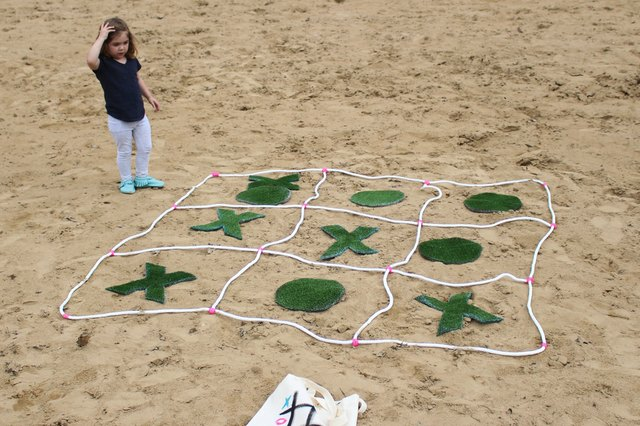 Leaving the pieces green on one side and painted on the reverse side allows the game to be played on a number of different surfaces. 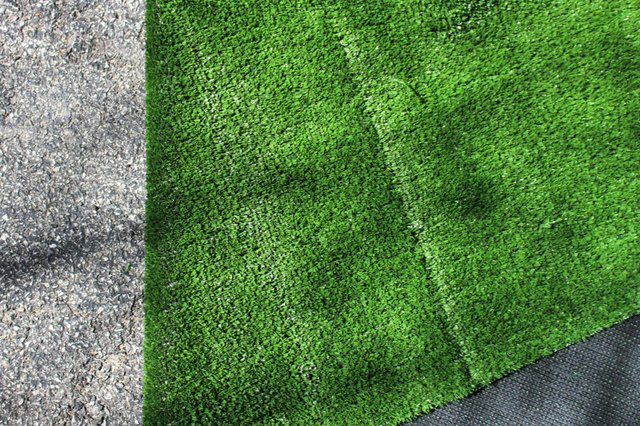 If the game is being played on grass, the colored side stands out more. If you are at the beach, using the grass side will work better. 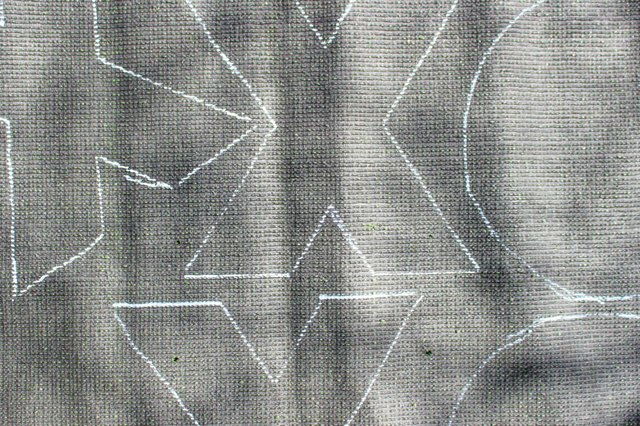 Place a piece of paper on the inside of a canvas tote bag. 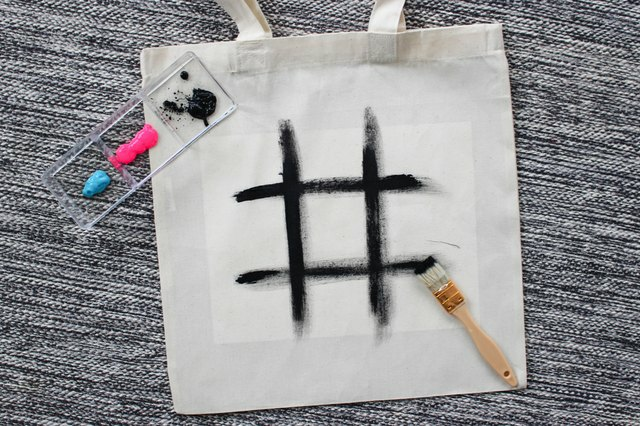 Create a simple tic-tac-toe icon on the front of the tote bag with black paint, using the size of the paper as a guide. 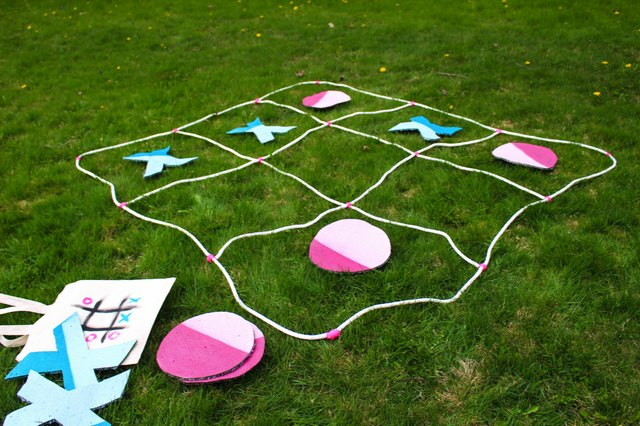 Then, finish the picture by painting "X" and "O" shapes in the same colors as your giant game board. Step 8: Play, Play, Play! Now, it's time to play with a partner! 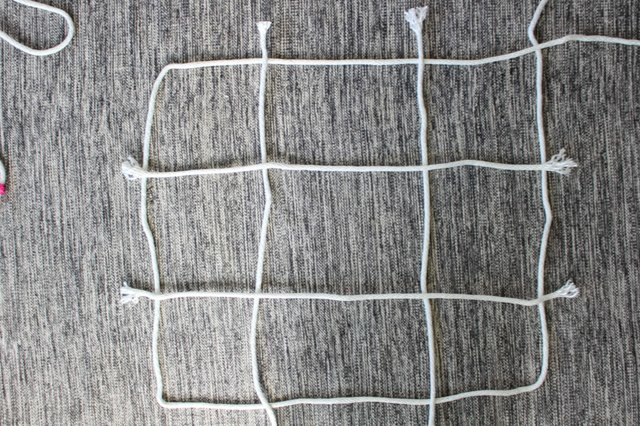 In case you need a refresher, the goal of tic-tac-toe is to get three pieces in a row, including diagonally: one person plays the "X" pieces and the other person plays the "O" pieces. Whoever can outsmart their opponent wins! How to Create a Costume of Sophie From "Mama Mia"